- Suitable for all machine types. - Removes coffee residue and limescale. - Improves machine performance saving money. - Each 500ml bottle enough for 5 applications. 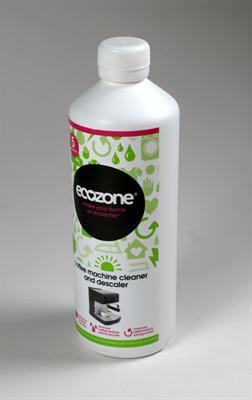 Be the first to submit a review for the Ecozone Coffee Machine Cleaner and Descaler.